Please help me ID my tree? Hi, I recently received this bonsai as a gift. I know it was bought from Morrison's, but all the tag tells me is that it is an indoor bonsai. It has shiny green oval leaves, with small hairs on them, and a rough light brown/beige trunk. It has recently been flowering, with small white flowers that last a couple of days. I've attached some pictures to help. Thanks in advance! Re: Please help me ID my tree? Those notched leaves are quite distinctive. 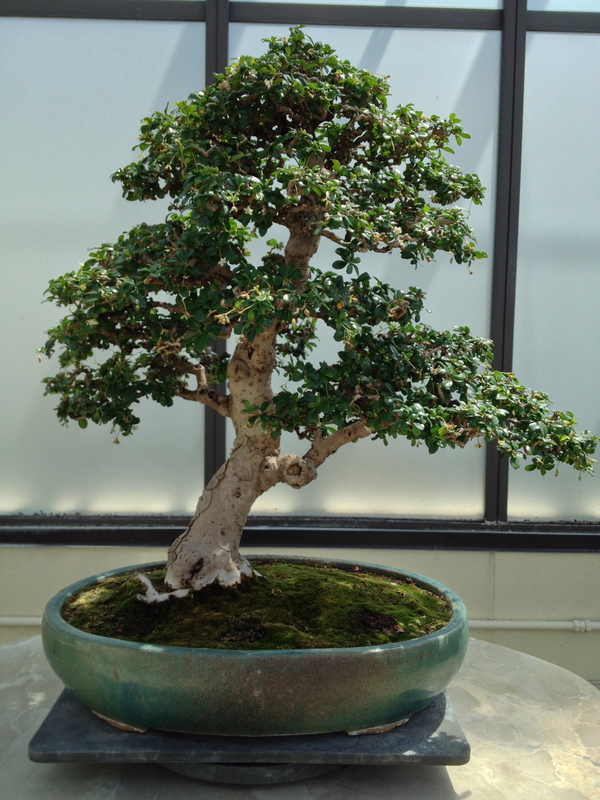 It is a Fukien tea, a tropical tree which is frequently used for indoor bonsai. It's a nice tree, but you do have to watch it very carefully as it is very attractive to insects (like aphids, mealy bugs, scale insects). I like that yours retains it natural shape. You often see them forced into S bends and other contortions that don't look natural to me. I never considered a Fukien Tea when I was trying to identify it, but now looking online at pictures of the species I can see it is definitely one! I just read that it isn't an easy tree for beginners to look after, but at the moment it is seems to be growing pretty well. Let's hope I can keep it that way! New member with new tree, what is it?